In Version 1.13, we're introducing two new options for password configuration: you can now choose to have your passwords expire after a set number of days and you can also choose to set a minimum number of characters for your passwords. NotePassword expiry and minimum length must be configured on your tenant by your account manager. For more information, please contact your account manager. These two new password configurations are entirely optional, and some companies may choose not to use them. 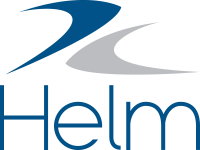 If your company decides to use either or both these password security features, here are a few ways they might change how you access Helm CONNECT. All users who can log in: If your company uses the password expiry option and your password expires, you'll be prompted to reset your password the next time you try to log in to Helm CONNECT. If you're already logged in when your password expires, you'll be logged out and you'll see the Reset Password screen. From here, simply reset your password as usual. Admin users: You can see on a user's profile when that person's password will expire or if it has already expired. NoteIf the password expiry option is on, then the expiry date for ALL user passwords will be based on the date/time that this feature was activated. This could mean that the first time you use this feature, all user passwords could expire at the same time. The system remembers when users reset their passwords, however, so eventually the expiry dates will start to vary, since some users might reset their passwords before they expire or they might not need to log in until days or weeks after their password expires, depending on when and how often they use Helm CONNECT. All users who can log in: If your company uses the minimum password length option, and your password isn't long enough, you'll see the following notification the next time you try to create a new password or reset your existing one. If you already have a password, you'll be able to keep using it until you need to reset it. Admin users: If the minimum password length option is on, then any new passwords will have to comply with the minimum password length requirement, including temporary passwords. Shared sign on passwords don't expire: The password expiry option doesn't apply to local installations that use a shared sign on. Multi user sign on passwords follow different rules: Although the password expiry option does apply to local installations that use multi user sign on, you can't reset passwords from the local installations, you must reset them from Helm CONNECT in the cloud. When passwords need to be reset, users on local installations will see a message explaining they need to log in to Helm CONNECT in the cloud. Expired passwords won't block you from installing on an asset: You can still install and configure a local installation even if your password is expired. Password expiry rules aren't applied until after the installation is complete, and only to installations configured with multi-user sign on. If you try to log into the installation with an expired password, however, you'll see a message explaining that you have to log into Helm CONNECT in the cloud to reset your password. No email notifications to users: The system doesn't send email notifications to users whose passwords are expiring. The only alerts about expiring or expired passwords appear on the user's profile on the Users tab under Setup > Users, and are visible only to users who have permission to access this tab.